An enchanting 9ct white gold ring, poised with a solitaire round diamond centerpiece in a four-claw setting. The stunning shoulders present marquise shape designs, with dazzling diamonds adding an extra sparkle, and milgrain texture for a vintage inspired touch. 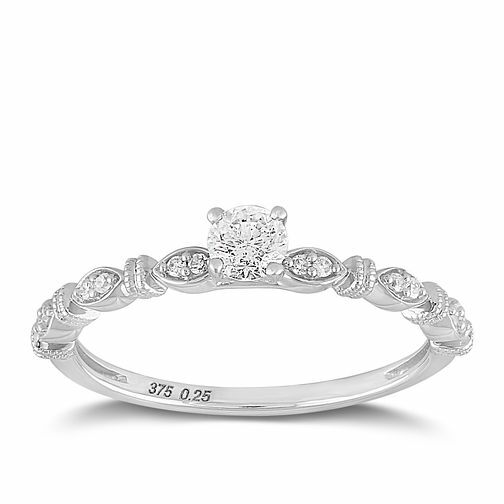 A quintessential classic design to compliment your own magical moment.